Contractor UK Ltd revised website privacy notice. Published May 2018. 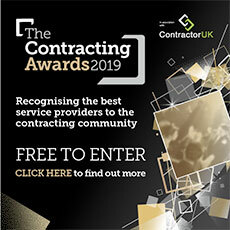 ContractorUK Ltd (contractoruk.com) is a source of information and news for contractors. ContractorUK keeps contractors informed on tax issues, market demand, jobs, IR35, new legislation and more. Our services are business centric and as such our collection and processing of your personal data is in regard to the fulfilment of our business aims. When you become a registered user of ContractorUK, we collect information about you including (but not limited to) your name, and email address. We collect these details for the purposes of sending a newsletter. You may manage your subscriptions to ContractorUK Ltd newsletters by subscribing or unsubscribing at any time. If you have any difficulties managing your email or other communication preferences with ContractorUK Ltd, please contact us at editor@contractoruk.com. As a client of ContractorUK we create an account for you and may store your data in our USA based CRM system and UK based finance system. Reasonable access to your personal data will be provided at no cost upon request made to ContractorUK Ltdat editor@contractoruk.com. If access cannot be provided within a reasonable time frame, we will provide you with a date when the information will be provided. If for some reason access is denied, we will provide an explanation as to why access has been denied.